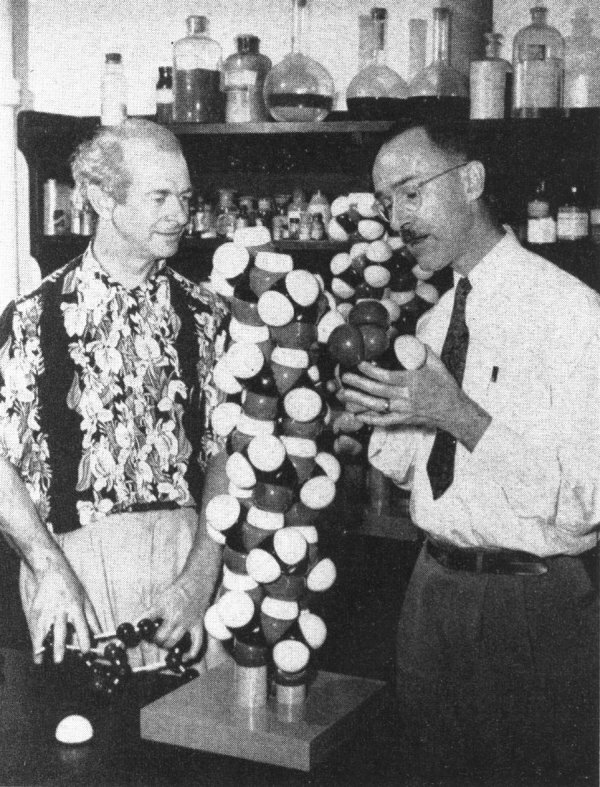 Linus Pauling and Robert Corey examining models of protein structure molecules, ca. 1951. 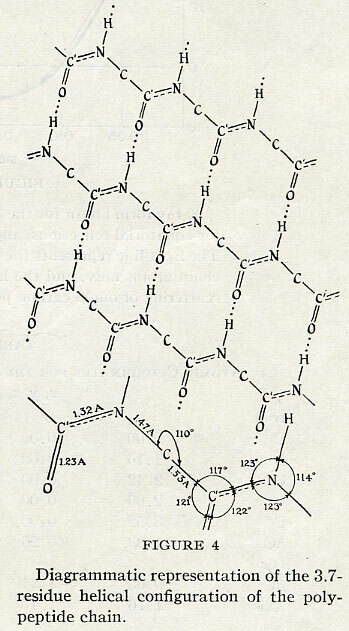 An article with the somewhat cumbersome title “The Structure of Proteins: Two Hydrogen-Bonded Helical Configurations of the Polypeptide Chain” appeared in the April-May, 1951 edition of the Proceedings of the National Academy of Sciences. The article was written by Linus Pauling, Robert B. Corey and Herman R. Branson, working collaboratively at the Gates and Crellin Laboratories of Chemistry at the California Institute of Technology and communicated to PNAS on Pauling’s fiftieth birthday. The article is immediately notable in that it is first of seven written by Pauling and his collaborators on the nature of protein and published in that single issue of PNAS. The fulfillment of this prediction and, finally, the discovery of this reflection in hemoglobin has been the most thrilling discovery of my life. 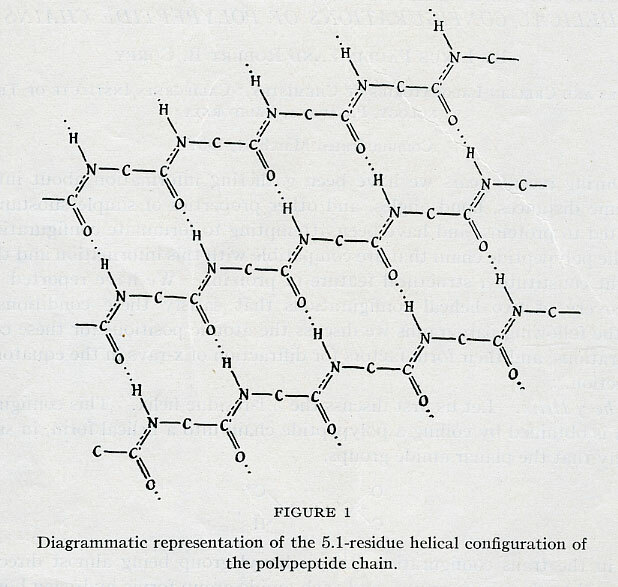 “The Structure of Proteins: Two Hydrogen-Bonded Helical Configurations of the Polypeptide Chain” was presented as the lead article in the April-May 1951 PNAS. The main question asked by the paper was: What is the structure of polypeptide chains – the backbones of proteins? 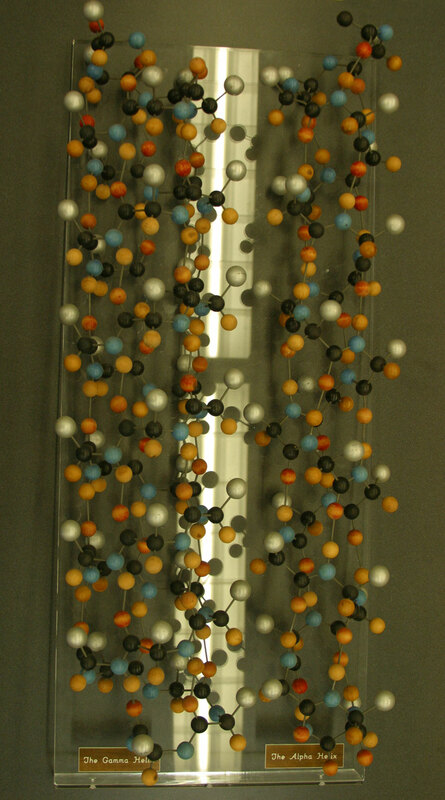 Pauling, Corey, and Branson claimed that the best way to determine the answer to this question was to acquire an “accurate determination of the crystal structure of amino acids, peptides, and other simple substances related to proteins.” By determining the attributes of these components, which acted as the building blocks of polypeptide chains, the researchers could then make reasonable estimations of what the finished product would look like. 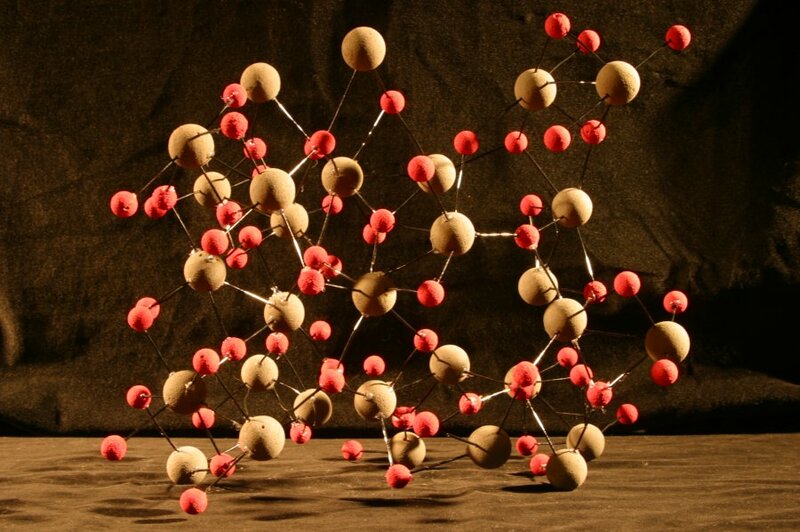 Pauling’s group was specifically searching for the interatomic distances between molecules, the bond angles of the chemical bonds, and “other configurational parameters” fundamental to the structures. 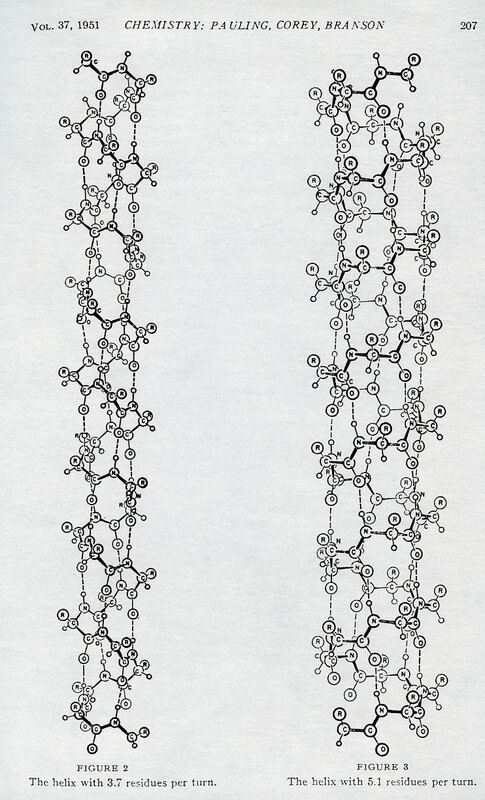 Figures from “The Structure of Proteins: Two Hydrogen-Bonded Helical Configurations of the Polypeptide Chain,” 1951. Furthermore, the group determined that, based on their calculations of bond angles, there were five possible angles for the helical turns; 165°, 120°, 108°, 97.2°, or 70.1°. Of these, only two, 97.2° and 70.1°, were “reasonable” potential configurations for the polypeptide chain, based on observed interatomic distances. Hydrogen, carbon, oxygen and nitrogen are the elements that make up the polypeptide chain. The chemical bond between C-O and C-N are both double bonds (they have four electrons instead of two). These tight bonds, along with the measured interatomic distances of other components, indicated that the interatomic distances for the chain would have to be small, otherwise the chain would very quickly become unstable. This is the reason that only the 97.2° and 70.1° configurations were acceptable. The other three angles were unstable and would have unraveled because the N-H bonds had too much space between them. Whether the helix turned at a 97.2° or a 70.1° rotation depended on the number of residues per turn in the chain. Pauling and his associates proposed either a 3.7-residue helix or a 5.1-residue helix. The article ended by explaining why competing hypotheses on the shape of polypeptide chains were incorrect. The article specifically pointed out three hypotheses authored by William Astbury and Florence Bell, William Lawrence Bragg, John Kendrew, and Max Perutz, and Maurice Huggins as being inferior. 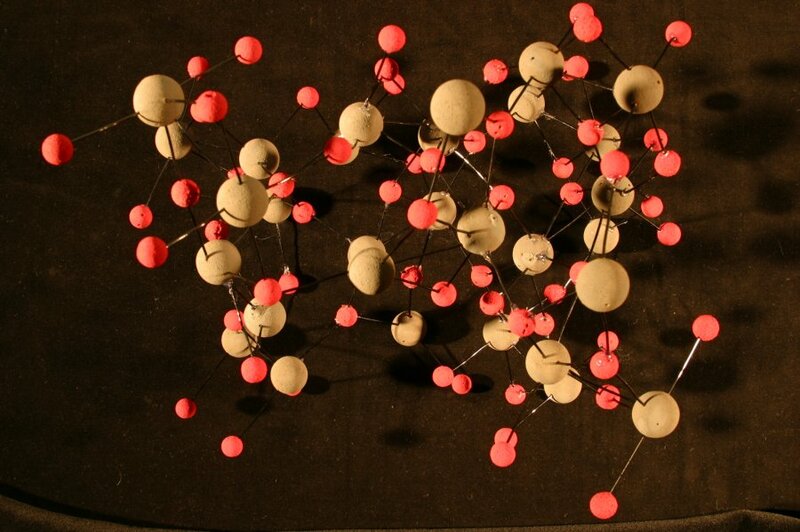 The Caltech group asserted that each of their models assumed a set number of residues in the polypeptide chains instead of potential variables, and only gave rough estimates of interatomic distances and bond angles. While they all agreed that a helix was the correct shape, the specifics of all other helix models were incorrect because of these deficiencies. This first paper was just a piece of the larger argument that Pauling was making. Each article was in itself useful, but only when considering the larger sum of the full publication bloc could the full import and implications of Pauling’s work be made visible. Pauling’s thinking proved to be revolutionary and controversial, as such ideas often are. William Lawrence Bragg, a key competitor of Pauling’s, was especially critical. 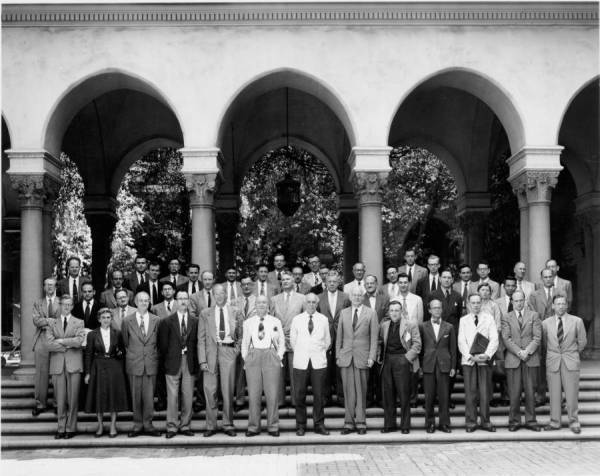 He felt numerous of the Caltech group’s ideas to be outright false, and even the most solid of Pauling’s assertions to be just baby-steps rather than major breakthroughs. Pauling, naturally, disagreed. Brookite, TiO2 (titanium = grey, oxygen = red). An orthorhombic unit constructed by an octahedron of oxygen ions arranged about a single titanium ion. Each octahedron shares three edges with adjoining octahedra. After returning from a trip to Europe in 1927, Linus Pauling was appointed to the position of Assistant Professor of Theoretical Chemistry at Caltech, and reinitiated his study of crystal structures in Pasadena. 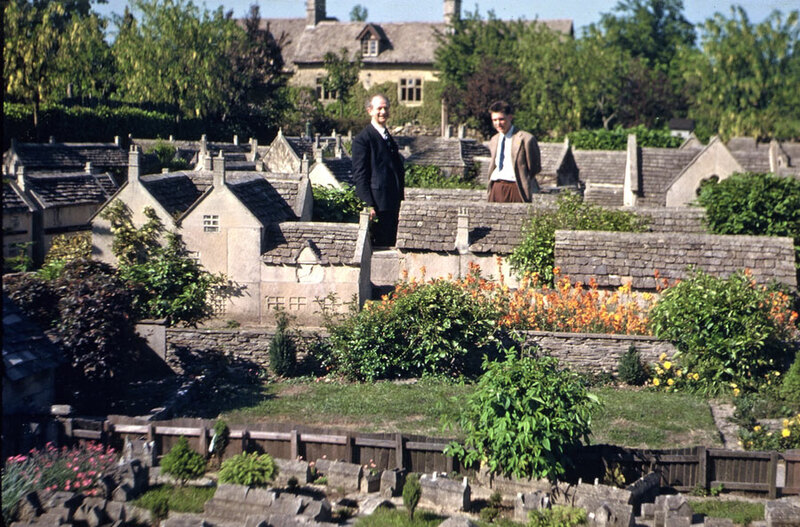 During this time, Pauling was focusing his attention on the crystal structures of silicate minerals. He and other scientists were utilizing X-ray analysis for crystal structure determinations, but the limitations of the technique were becoming more and more apparent as it was applied to increasingly complex crystal structures. To overcome these difficulties, Pauling formulated a new theory which helped him to determine the structure of brookite, topaz and a number of other complex ionic crystals. The theory, and the work that resulted from it, comprised an important step in the development of his most cited and most used crystal structure work. Pauling’s new development was called coordination theory, and served as a method for predicting the possible structures of ionic compounds. Pauling contrasted the new theory with another method used previously by crystallographers for similar crystal structure determinations. The previous method involved testing and eliminating all but one of the possible arrangements in order to determine the atomic arrangement of particular crystals. Pauling noted that this method was both very certain in its results, and extremely labor intensive, making it difficult to apply to more complex compounds. Pauling first used his extended version of the technique to successfully determine the structure of brookite. Brookite, or titanium oxide, is a minor ore of titanium and a polymorph with two other minerals. It shares a number of similarities with the minerals rutile and anatase, having the same chemistry but a different structure. The variety of similar structures largely results from exposure of the basic chemical components to different temperature variations. As such, when exposed to higher temperatures, brookite reverts to the chemical structure of rutile. In their examination of brookite, Pauling and J. Holmes Sturdivant used spectral photographs to determine the dimensions of the possible unit cells, and Laue photographs to determine the smallest possible unit and space group symmetry criteria. Using Pauling’s new coordination theory, they predicted two possible structures for brookite. One of these hypothesized structures turned out to have a space-group symmetry and unit cell matching the spectral and Laue photograph observations. From there, Pauling and Sturdivant were able to determine that the basic unit of arrangement in brookite was that of an octahedron of oxygen ions around a titanium ion. Following his examination of brookite, Pauling later used coordination theory to determine the structure of topaz. 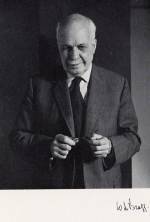 After these successful examinations, he was compelled to develop a set of principles which governed the structures of complex ionic crystals. The principles were described in a set of compiled documents known as the Sommerfeld festschrift papers, and would later be known as “Pauling’s Rules”. Pauling used his examinations of brookite and topaz, as well as the principles developed in their determinations, to write a paper that detailed this work. 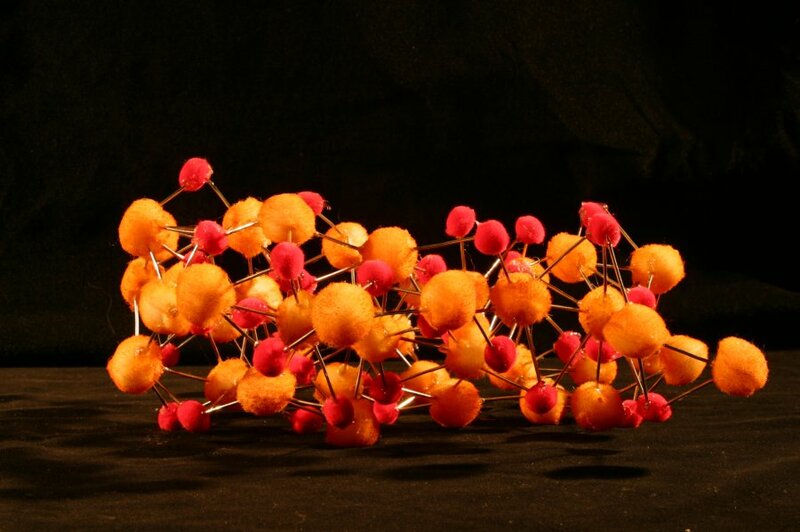 “The Principles Determining the Structure of Complex Ionic Crystals,” [J. Am. Chem. Soc. 51 (April 1929): 1010-1026.] 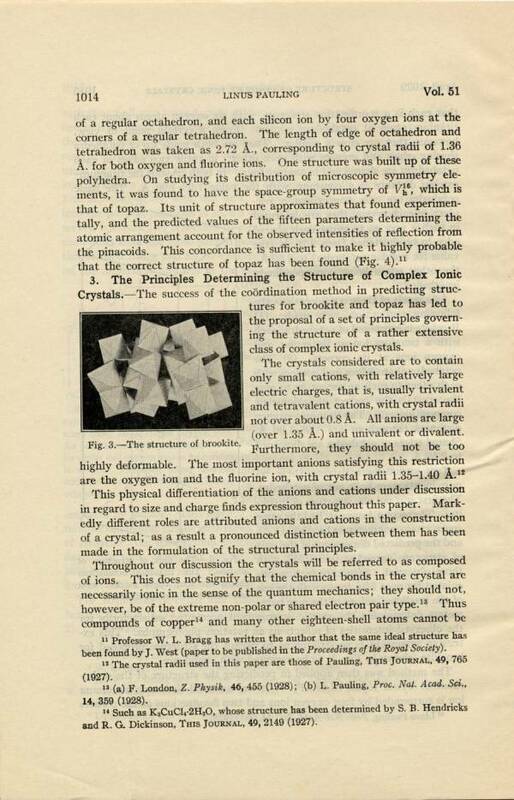 published in 1929, became the most cited and most used of all of Pauling’s crystal structure papers. For more on Pauling’s achievements in structural chemistry, see Linus Pauling and the Nature of the Chemical Bond: A Documentary History. Corundum, Al2O3 (aluminum = silver; oxygen = red). A hexagonal (rhombohedral) crystal system constructed of aluminum atoms that are each surrounded by six oxygen atoms. The oxygen atoms are not bonded at the corners of a regular octahedron. Hematite, Fe2O3 (iron = orange; oxygen = red). A hexagonal (rhombohedral) crystal system constructed of iron atoms surrounded by six oxygen atoms not at the corners of a regular octahedron. In 1925 Linus Pauling and Sterling Hendricks published a paper detailing the crystal structures of corundum and hematite. It was the fifth crystal structure analysis that Pauling had undertaken. 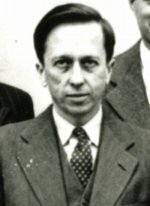 During the early years of his research, Pauling had a tendency to correct the work of others, and the determination of hematite and corundum’s crystal structures was not an exception. In 1917 the British father and son duo of William Henry and William Lawrence Bragg had studied the structure of ruby using X-rays. 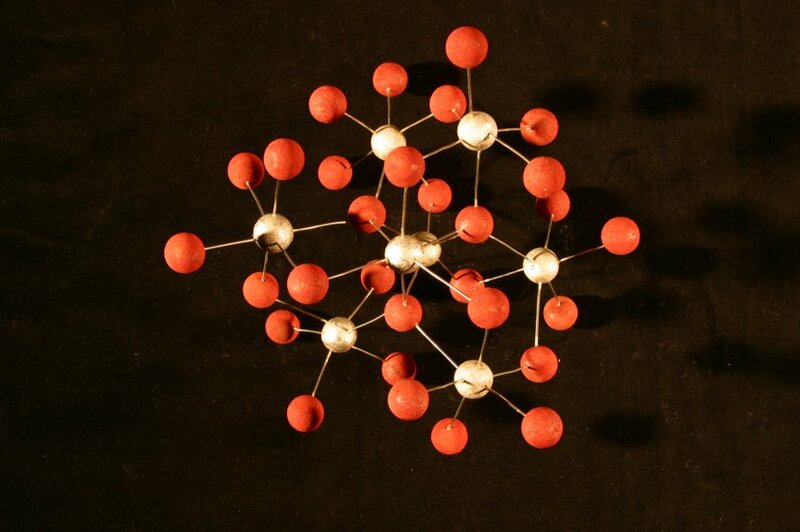 Citing this data, they hypothesized in 1924 that each aluminum atom in ruby is equidistant from six oxygen atoms, and that each oxygen atom is equidistant from four aluminum atoms. The Bragg’s used this hypothesis in their later work on theories of birefringence (the refraction of a ray of light into two slightly different and unequal rays) and to explain the intensity of X-ray reflections, in terms of temperature variation, from the faces of ruby crystals. Corundum is a gemstone whose varieties include ruby and sapphire. It is an aluminum oxide, and the second hardest mineral known to science after diamond. This property is generally attributed to the strong and short bonds which pull oxygen and aluminum atoms close together, making the crystal unusually hard and very dense. Hematite comes in many varieties, each having their own unique name and composition. Hematite is an iron oxide, and very important as an ore of iron. It is also used as a pigment and is collected as a mineral specimen. It is blood red in powdered form, but can be gray, black, red or brown in its solid form. It is also used in jewelry, either as a set stone, or as a piece itself. Pauling and Hendricks used Laue and spectral photographs, as well as the theory of space groups, to analyze the crystal structures of hematite and corundum. They found that, contrary to the Braggs’ hypothesis, the spacing of atoms in corundum’s atomic structure was not equidistant. 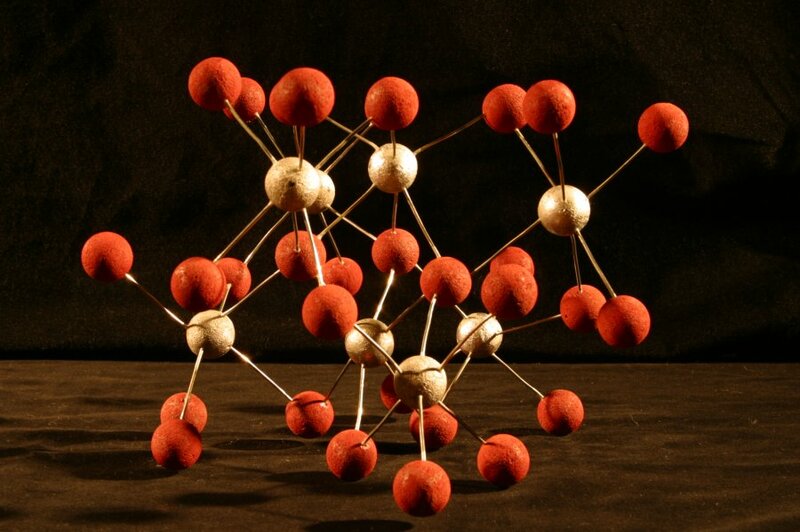 Though they confirmed the Braggs’ ratio of oxygen to aluminum atoms, they found that instead of forming the corners of a regular octahedron around aluminum atoms, three of the six oxygen atoms were closer to the aluminum atom than were the other three. Similarly they found that instead of forming the corners of a regular tetrahedron around oxygen atoms, two of the aluminum atoms surrounding each oxygen atom were closer than the other two. Pauling and Hendricks disproved the Braggs’ hypothesis of a constant aluminum-oxygen distance, and found that the Braggs’ value for the distance between aluminum and oxygen was also incorrect. The publication of the Pauling-Hendricks findings and the professional implications of their critique were not missed by the Braggs. 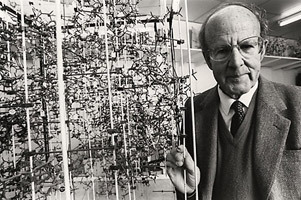 Pauling was later told that Lawrence Bragg resented his “intrusion” into the fields of crystallography and mineralogy, and that he considered Pauling to be a competitor. Consequently, many of Pauling’s initial publications, often critiques of the work that others had done, led to the start of what would become a long lasting rivalry between himself and the Braggs. 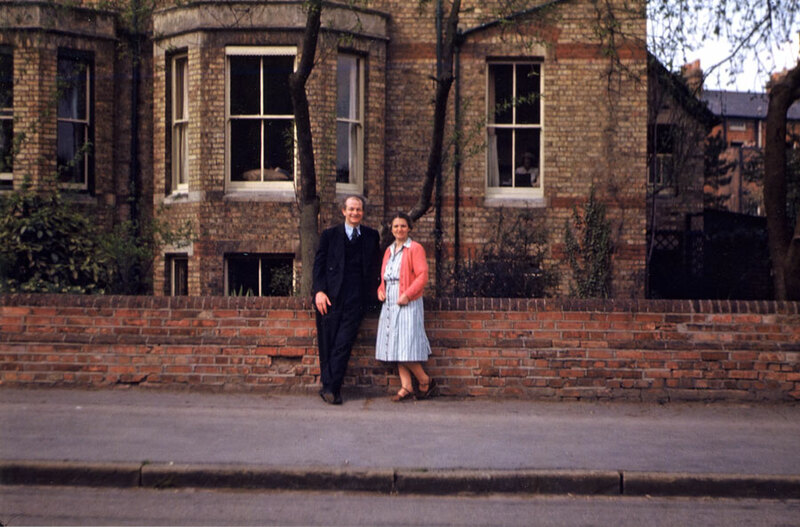 Pauling later claimed that his view of their relationship was very different, both at the beginning of his academic career and the end of it. According to Pauling, the work that was initiated to correct the Braggs’ early hypotheses was done in order to strengthen the validity of their subsequent claims. In regards to the influence of atomic arrangements on birefringence, this work was successful. 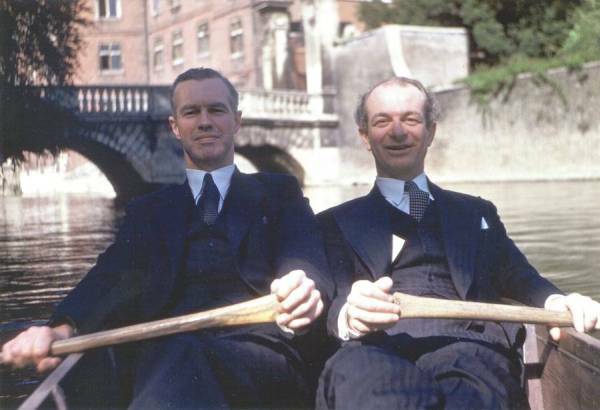 Pauling had perceived the early relationship between himself and W. L. Bragg as that of professor and student, respecting the work that the Braggs had done, and acknowledging that it had enabled him to study crystallography and chemical bonds upon his entrance to Caltech. In reference to the rivalry perceived by the Braggs, Pauling wrote “I did not think of my own scientific work as being competitive; I found it engrossingly interesting for its own sake.” Overall it seems that Pauling and the Braggs were not merely separated by an ocean, but also by an unfortunate misunderstanding of motives. 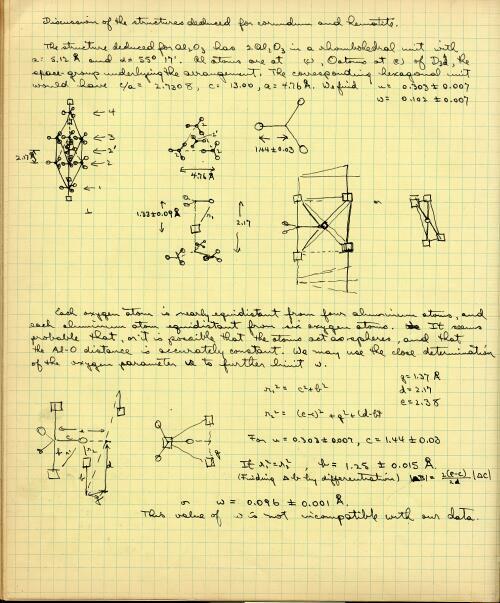 Pauling research notebook entries on the structures of corundum and hematite. More on Pauling and Hendricks’ determination of the structures of corundum and hematite can be found in Pauling’s Research Notebook 4. The larger story of Pauling’s structural chemistry work, including his relationship with the Braggs, is told in Linus Pauling and the Nature of the Chemical Bond: A Documentary History.